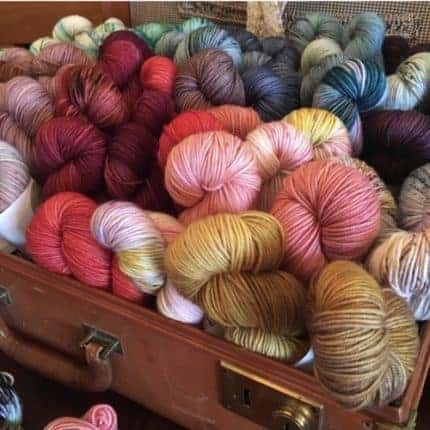 Ever see a beautiful skein of yarn and wonder what to knit? My new “Knit This!” feature answers that question for you. When you visit my website you’ll be greeted with pattern ideas and kits that make shopping a breeze. 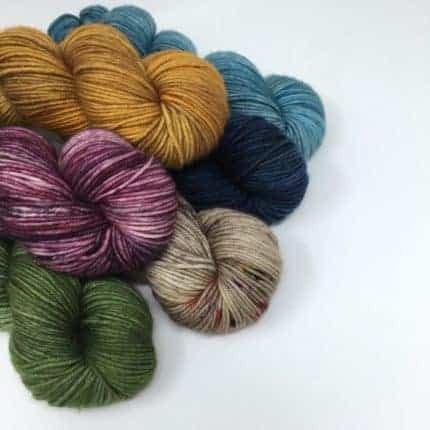 You can see projects knit using my yarn and then shop the collections with one click. 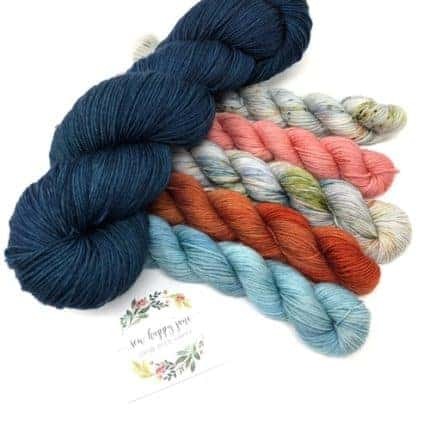 To sweeten your shopping experience even more I’m offering a 15% off sale from Small Business Saturday through Cyber Monday 11/24-11/26. 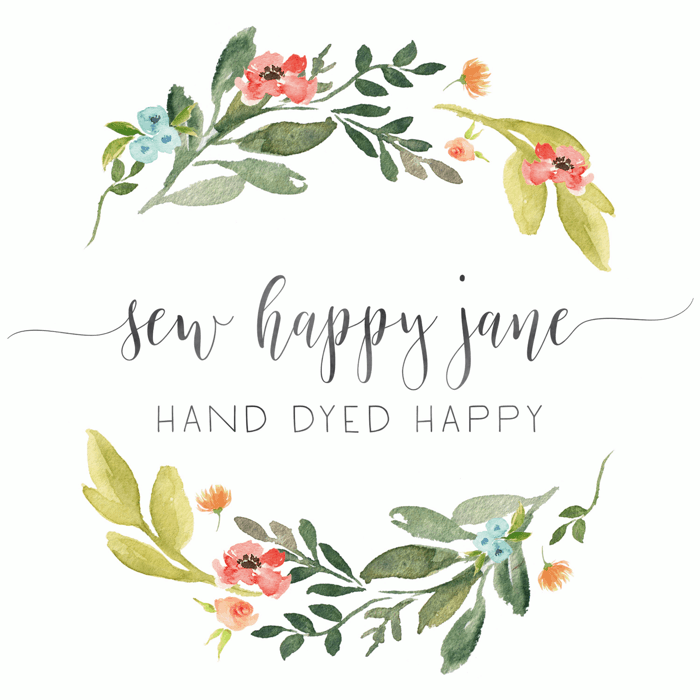 Visit www.sewhappyjane.com and enter code : SEWTHANKFUL at checkout to save 15% on your entire order. 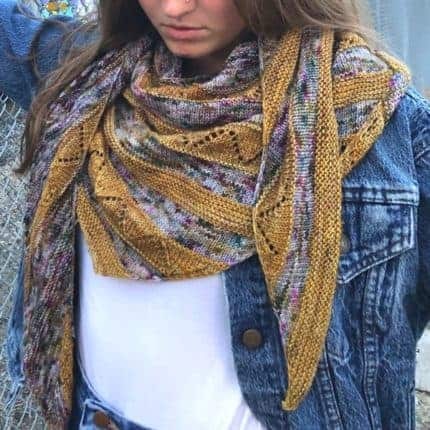 Projects and yarn featured here: The Honey Bee Shawl by Aspen Knits in Agate Beach and Honey Mead. 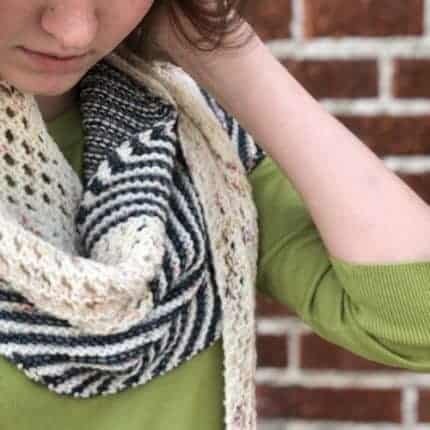 The Lovella Shawl in Moody and Pistachio Cream by Ambah O’Brien. 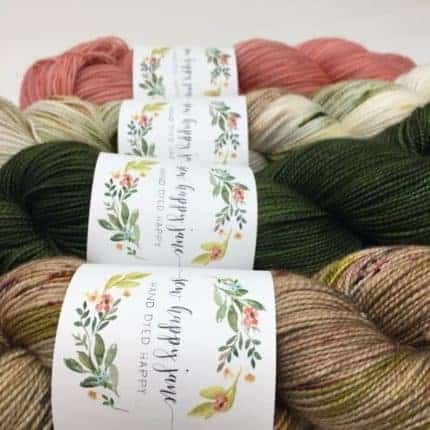 Also featured are my Tiny Popper Mini skein bundles perfect for knitting Elevation by Aspen Knits.